Guest house rooms cost R700 per night for two guests. An additional R1 800 breakage fee is payable and the balance will be refunded within 14 days of the event. 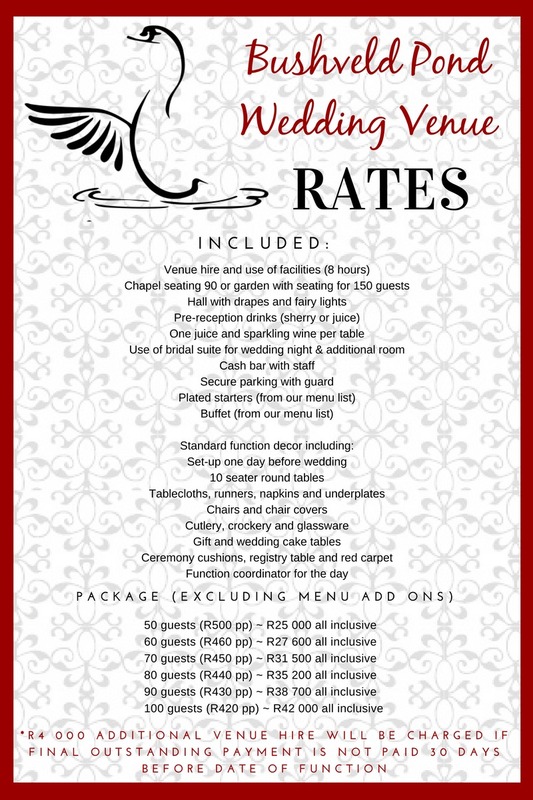 A non-refundable fee of R5 000 confirms and secures your date.